It’s fall time again! Although we don’t have a change of colors here in Florida, we still like to get into the fall spirit. 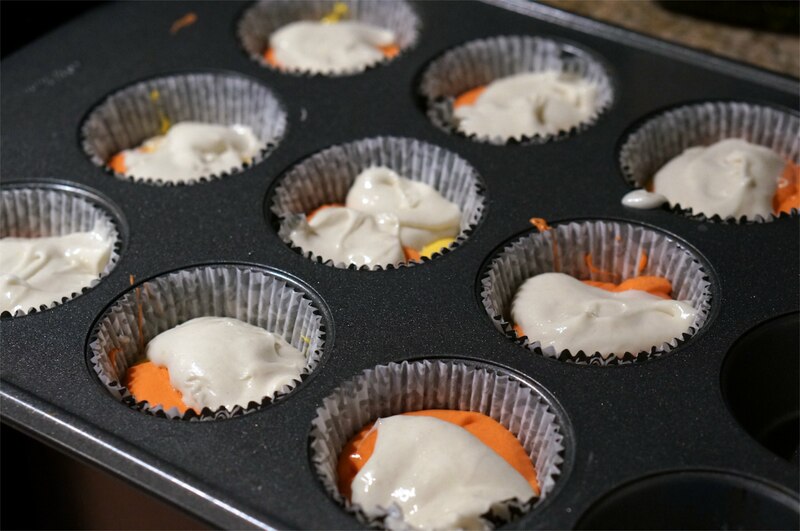 Last year around this time we made one of our most popular shenanigans- Mini Rice Crispy Pumpkins! 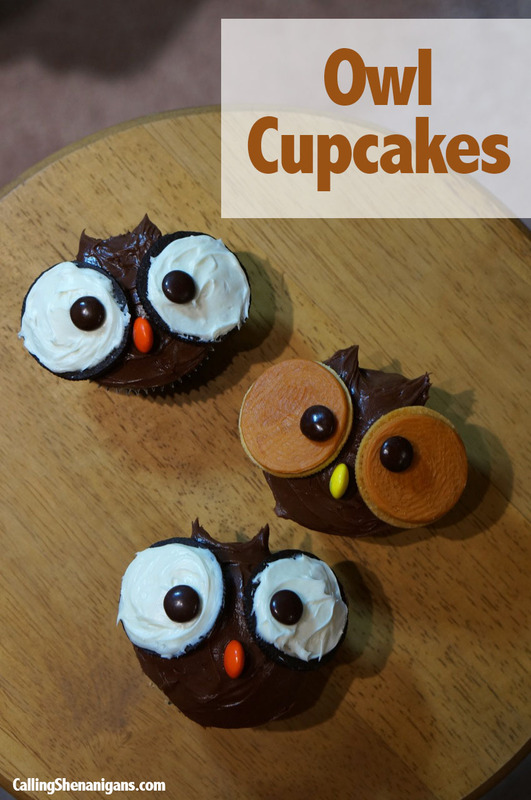 This year I wanted to make something equally as adorable, so I set out on Pinterest to see what treats were trending. 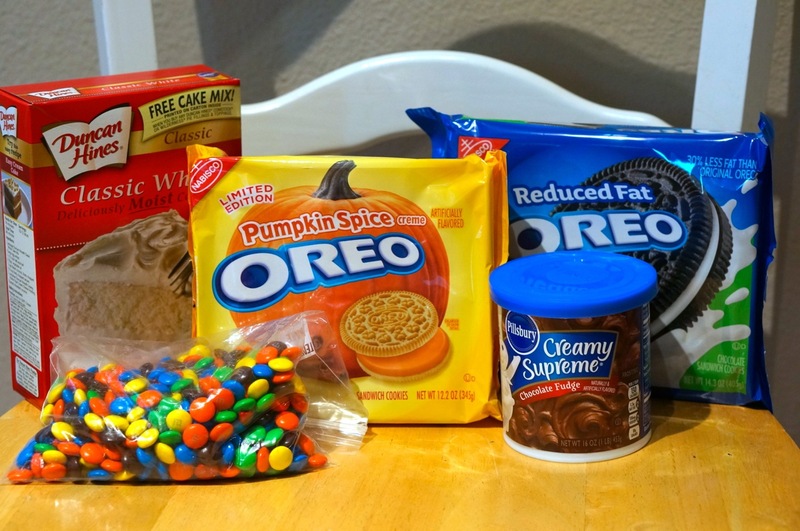 After searching for a couple hours I realized that there were a lot of things centered around Halloween – many of which included spiders (which I did not find adorable), so I decided to try to find a sweet treat that could cross over from Halloween to Thanksgiving. 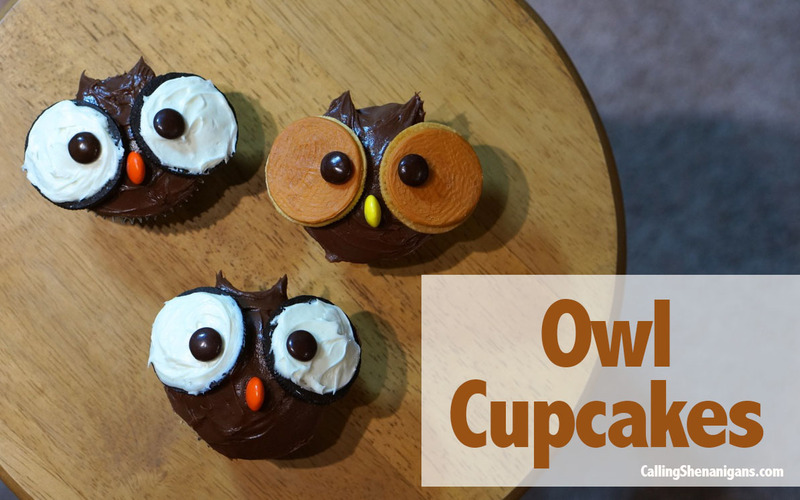 These adorable Owl Cupcakes were the winner! 1) Follow the directions on the cake mix box. 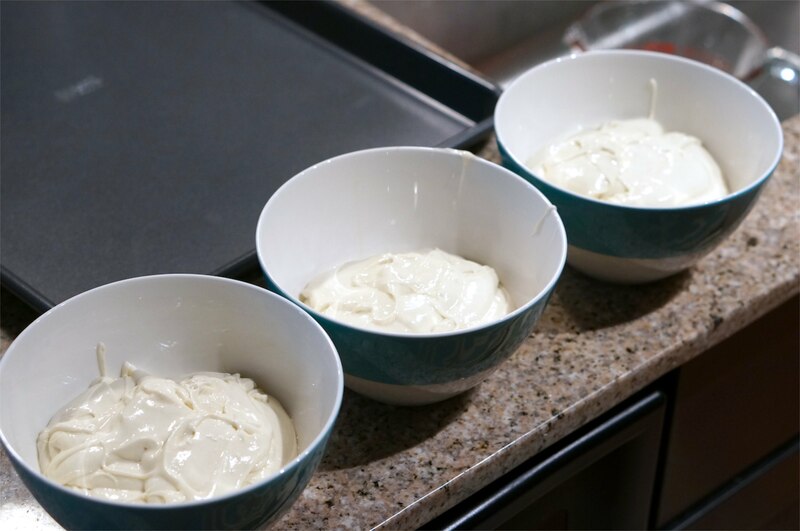 2) Separate batter into 3 bowls. 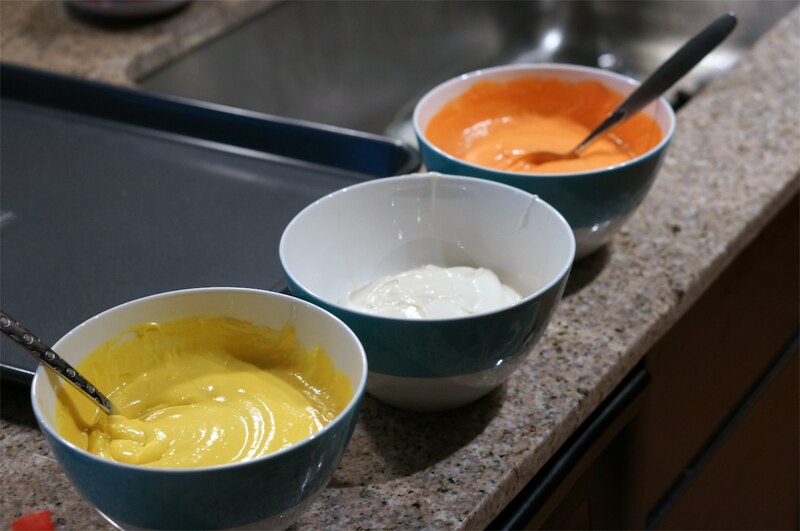 3) Dye one yellow and one orange. 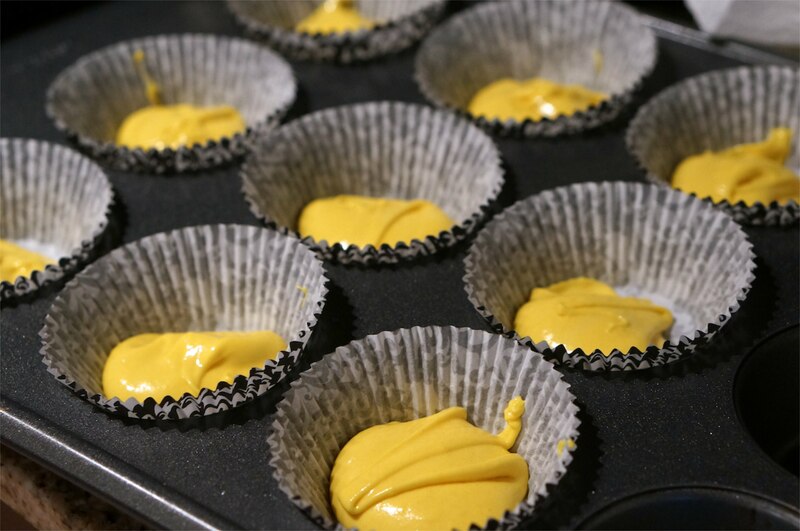 4) First put a layer of yellow batter. 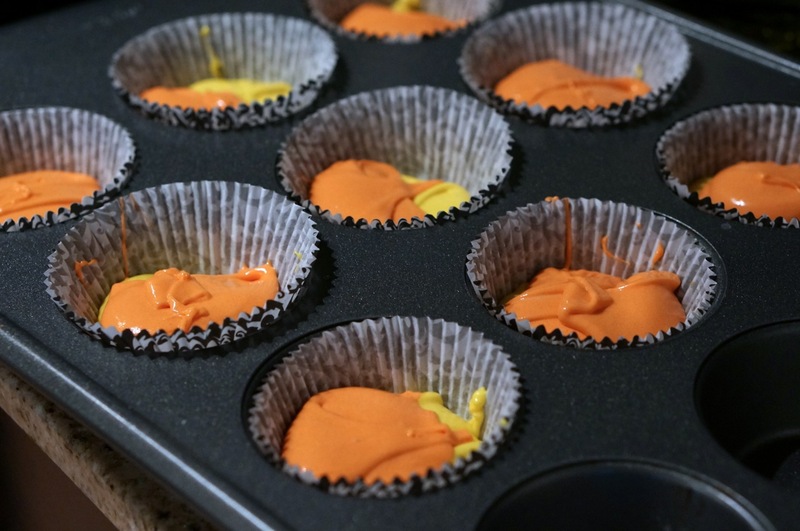 5) Then use a spoon to add in a layer of orange. 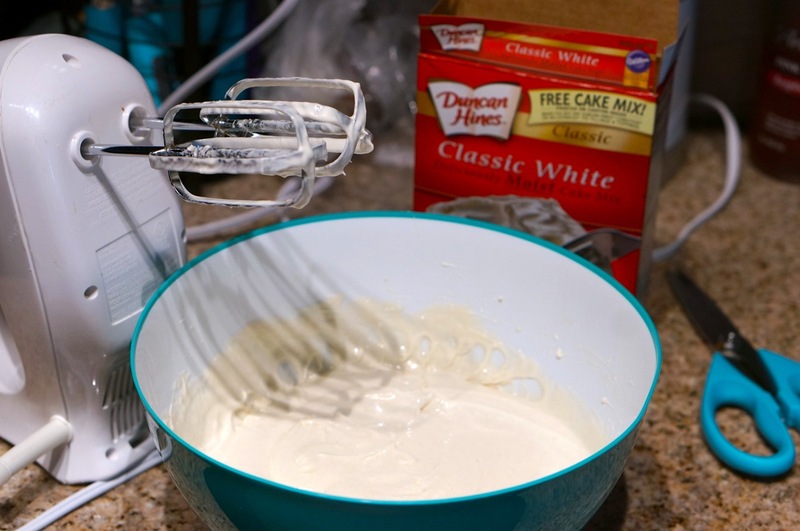 6) Finish filling up the cupcakes with the leftover white batter. 7) Let the cupcakes cool and ice your cupcakes with the chocolate icing. Add two blobs of icing at the top for the ears. Then split your oreos in half, and save the side with the icing (i had to add icing because the reduced fat Oreos don’t cleanly break apart). Put a brown m and m to on it to make the eye, and use an orange or yellow ma nad m for the beak.